Pour la version française de cet article, cliquer ici. Para la versión en español de este artículo, haga clic aquí. 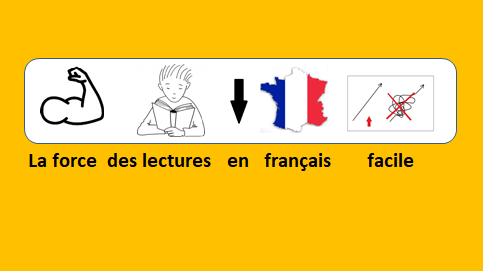 The principle of the Français illustré is to use illustrations to support the understanding of French. Very often the word and illustration Association is obvious. For example: The word pomme (apple) and an illustration of an apple. Or the verb manger (to eat) and a illustration of a person eating. the verb être (je suis / I am) allows to introduce a relation of identity. The mathematical sign ‘equal’ is here ideal to illustrate this identity relation. the adjective bleu (blue) does not represent the identity of the sweater, but a quality of the sweater. It is a color that is attributed to the sweater. To illustrate this relationship, I chose another mathematical sign: greater than or equal to. Viewed in the other direction: less than or equal to, this sign illustrates that the quality ‘blue’ is part of the sweater. 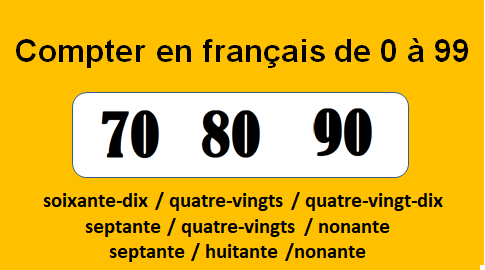 Finally, the verb être is very often used in the expression “c’est” (it is) which allows to show, to indicate something. The illustration of the hand with the stretched index seemed to me the best way to illustrate this meaning. In the sentence “C’est une chaise” (It is a chair), the finger shows the chair. Yes ! The Français illustré = 1001 sentences ! Hourra ! Le Français illustré = 1001 phrases!